More troubling, though, is that the Air Force does not have a strategy to improve retention of those airmen, while the pace at which experienced maintainers are leaving has increased, according to the watchdog agency. Overall, the Air Force loses between 9 and 10 percent of its maintainers each year, on par with loss rates throughout the enlisted ranks, GAO said in the report released Tuesday. But the loss rates of journeymen, maintainers with a skill level of 5, increased from 9 percent in fiscal 2010 to 12 percent in fiscal 2017, GAO said. While loss rates of 7-level, or craftsmen, maintainers has been comparable to overall maintainer loss rates, GAO expects the situation to worsen over the next few years. Overall re-enlistment rates for maintainers have also decreased from a peak of 82 percent in fiscal 2011, to a low of 73.4 percent in 2017, GAO said. In a potentially worrying sign, re-enlistment rates since 2010 dropped most steeply for airmen making their first re-enlistment decision. There are also troubling signs of poor morale in the maintenance ranks. In multiple discussion groups, maintainers consistently told GAO that dissatisfaction with their jobs — particularly stress, the physical toll of the work, heavy workload and poor working conditions — was causing them to question whether they wanted to re-enlist. A 2017 survey echoed those concerns. And senior airmen, staff sergeants and technical sergeants expressed more dissatisfaction with their leadership in that survey than senior non-commissioned officers. The Air Force has taken steps to try to hold on to maintainers. For example, it has dramatically dialed up the use of retention bonuses, hitting a peak of more than $87 million in bonuses handed out to 2,415 airmen in fiscal 2016. And it’s offered High Year of Tenure extensions to allow experienced maintainers to serve longer. But the Air Force has no broader retention strategy to guide its efforts, GAO said, including programs that are tailored to maintainers’ specific needs and challenges. The bottom line: The service could be missing out on chances to hold on to experienced maintainers, the report said. Despite these problems, the Air Force has not set annual retention goals for maintainers, GAO said. As a result, it can’t say how many experienced maintainers it needs to retain in order to train and certify the new 3-level, or apprentice, maintainers. 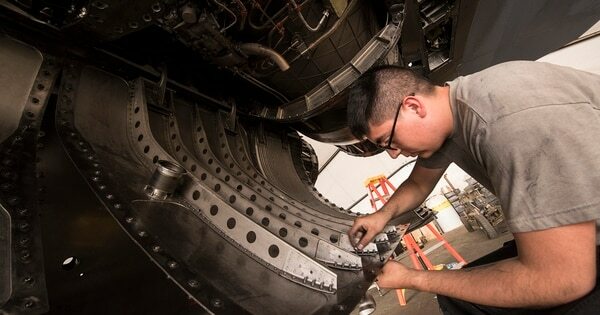 Air Force spokesman Robert Leese countered that the Air Force has progressed toward improving the health of the maintenance career field and is continuing to train them up. But that progress will be tested this year. The Air Force is pushing to get 80 percent of its F-16, F-22 and F-35 fighters ready to fly at any given moment by October. Some maintainers, who are already stressed and overworked, fear that trying to meet former Defense Secretary Jim Mattis’ ambitious goal will end up pushing them even harder, risking burnout. The gap between the number of maintainers serving in the Air Force and how many the service is authorized to have — which was worsened by the massive 2014 drawdown — hit 4,016 in fiscal 2015, GAO said. That year, the Air Force was authorized to have 66,439 maintainers, which meant the service faced a 6 percent shortfall. The gap shrank to 745 maintainers in 2017, the report said, which represented 99 percent manning. The Air Force said at the end of fiscal 2018 that the shortfall was roughly 200 maintainers, and in a panel discussion on Friday, Air Force Secretary Heather Wilson said the maintenance career field is fully manned. But the shortfall and efforts to fix it have ended up distorting the maintenance ranks. The Air Force was short thousands of younger 3-level, or apprentice, maintainers in fiscal 2015 and 2016 because it had slashed accessions. That meant thousands of fewer maintainers were available to grow into the skill level of 5, or journeyman, over the following two years. That left the Air Force with a massive 2,044-person shortfall of 5-level maintainers, or 94 percent of the authorized level, in fiscal 2017, as well as a 439-person gap of 7-level, or craftsman, maintainers, GAO said. Defense Secretary Jim Mattis has thrown down the gauntlet for the Air Force’s maintainers: Get four out of every five F-16, F-22 and F-35 fighter jets ready to fly at any given time. It’s not going to be easy. But when it came to 3-levels, the Air Force had a surplus of 1,745 apprentice maintainers — a 12 percent overmanning. This staffing imbalance is concerning, GAO said, because 3-level maintainers lack the experience and proficiency needed to conduct some of the most crucial, complex maintenance work. And they require 5- and 7-levels, who are in short supply, to teach them and oversee their progress. Air Force leaders have consistently acknowledged the imbalance in experience levels that resulted from the shortfall and efforts to fix it. The shortfall has hit certain aircraft and maintenance specialties harder than others, GAO said. One such specialty is advanced fighter aircraft integrated avionics airmen. In 2017, that field was 140 airmen short of needed 7-level maintainers — which meant it was only 70 percent manned — and 56 short of 5-level maintainers focusing on the F-35, resulting in a 78 percent manning level. Certain remotely piloted aircraft maintainers were also significantly undermanned in 2017. The report stated that 7-level RPA maintainer positions were 62 percent filled, a shortage of 92 maintainers, and 5-level maintainers focusing on the MQ-1 Predator and MQ-9 Reaper were at 54 percent manning, with a shortage of 118 airmen. There have been signs of progress, GAO said. In 2015, there were 12 maintenance specialties with massive shortfalls of more than 10 percent, but by 2017, only four maintenance fields had those kinds of shortfalls. And in 2017, 18 maintenance specialties met or exceeded their authorized staffing levels. 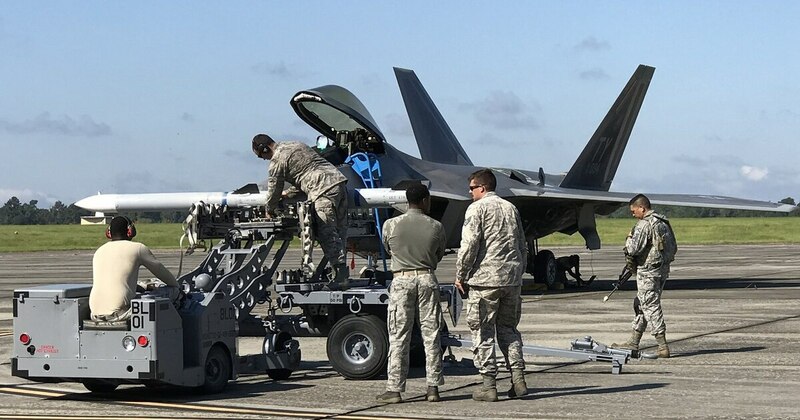 But the Air Force is likely to see maintenance staffing gaps, off and on, through fiscal 2023, when it is expected to be short 500 maintainers. One reason for the future staffing gap is that the Air Force will continue to bring on more F-35s over the next few years, which will increase its maintenance requirements.